... Rafca suffered for seventeen years as a blind paralytic. Only God knew how much she had to endure. Her pain was continuous night and day, yet the other sisters never heard her murmuring or complaining. 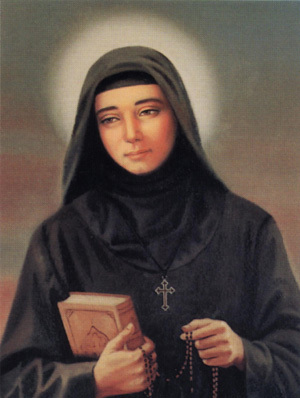 She often told them that she thanked God for her sufferings, "...because I know that the sickness I have is for the good of my soul and His glory" and that "the sickness accepted with patience and thanksgiving purifies the soul as the fire purifies gold." - On June 10th, 2001.